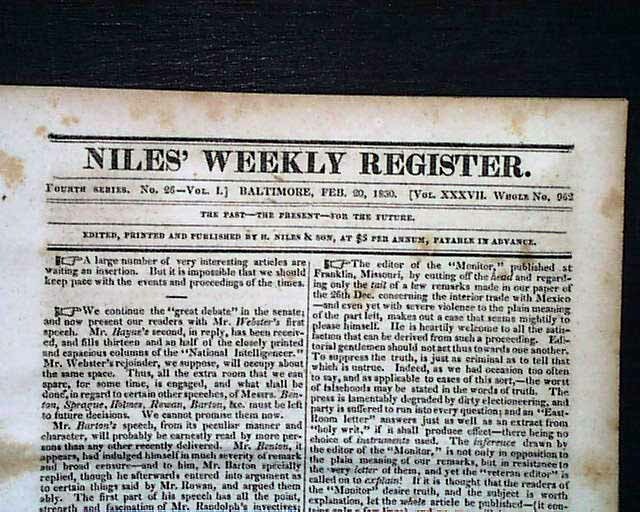 NILES' WEEKLY REGISTER, Baltimore, Feb. 20, 1830 Page 5 has a number of brief yet interesting items, including: "Key West - Com. 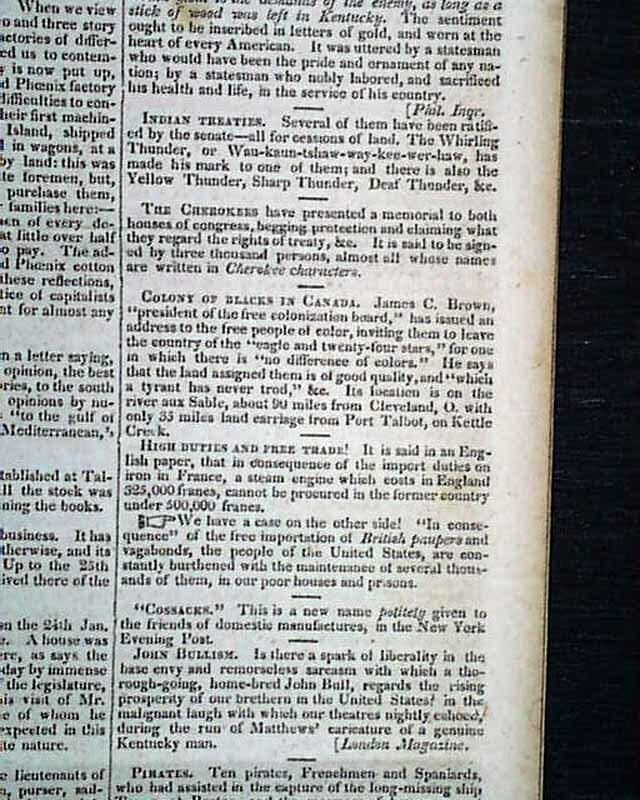 Porter has written a letter saying that 'the harbor of Key West, is...the best harbor in the United States..." with more. 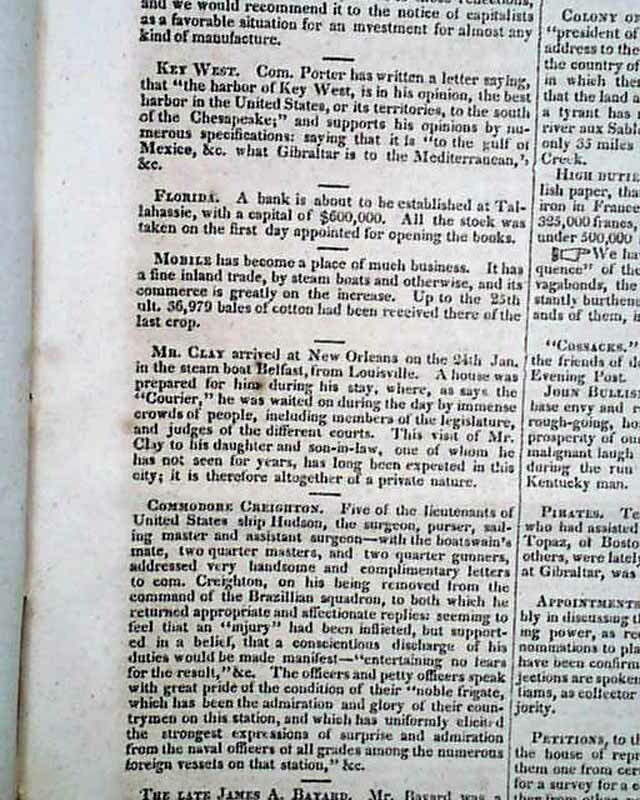 Also: "Mobile has become a place of much business...has a fine inland trade by steam boats...". "Pirates" notes in part: "Ten pirates...who had assisted in the capture of he long-missing ship Topaz...& the massacre of her crew...were lately hung at Cadiz; & their captain...was about to meet the same fate." 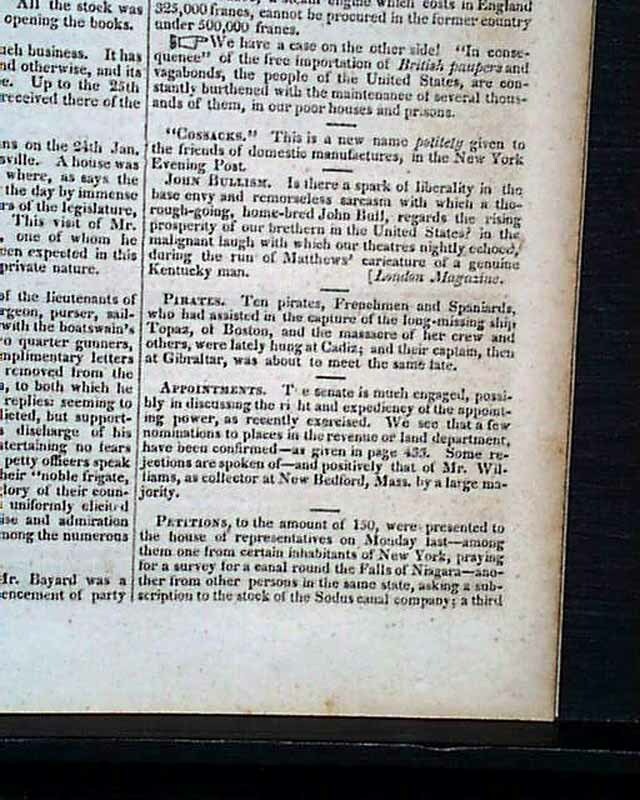 Indian Treaties" has some details, and "Colony of Blacks in Canada" notes: "...inviting them to leave the country...for one in which there is 'no difference of colors. 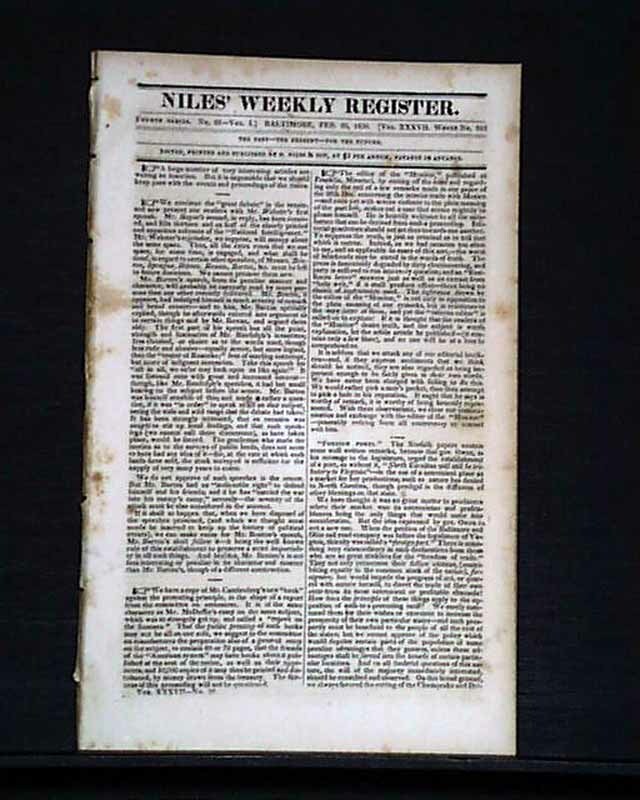 '...Its location is on the river aux Sable about 90 miles from Cleveland O...". Sixteen pages, 6 by 9 3/4 inches, good condition.